Specifically, we talk about school. They watch each other carefully, unsure what to say even within the safety of this group for girls. Yes, even in this time of “girls can have it all,” our youngest girls continue to struggle to find and confidently use their voices. 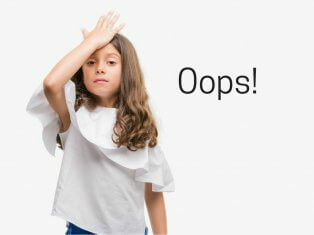 Girls weigh everything from emotional fallout to appearing incompetent to freezing up in the moment. The result is that instead of getting in there and sharing their thoughts and ideas, they shrink back and hope to get through the day unnoticed. Assertiveness skills reach far beyond sharing ideas in the classroom. Being assertive plays an integral role in developing sociability and the skills needed to be a leader. When girls have the confidence to speak up, stand up to negativity, break their silence about bullying, and showcase their strengths, they take healthy risks and reach for their goals. They also build resilience, independence, and leadership skills. Sadly, research shows that lack of assertiveness is a significant barrier to girls when it comes to building leadership skills. A report from the Girl Scout Research Institute, Change It Up!, found that one-third of girls who do not want to be leaders attribute their lack of motivation to fear of being laughed at, making people mad at them, coming across as bossy, or not being liked by people. Another report by Dove, Real Girls, Real Pressure: A National Report of the State of Self-Esteem found that 62% of girls feel insecure or unsure of themselves. This echoes what I see both in my individual and group practice with young girls. They want to lead and share their talents, but they don’t want to upset others, embarrass themselves, or not be liked. Being assertive doesn’t come naturally to everyone. In fact, for most girls, assertiveness skills are developed over time. 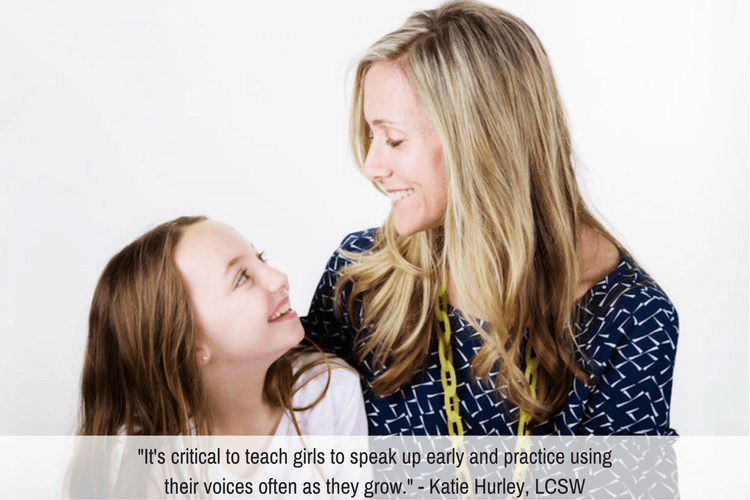 It’s critical to teach girls to speak up early and practice using their voices often as they grow. When parents encourage this skill in their daughters, they teach them to lead with confidence. I find that many girls don’t understand the true meaning of being assertive. They are socialized to avoid being “bossy” and this is a confusing message. When girls fear speaking up because they might be viewed as aggressive, they learn to quiet their voices and internalize their feelings. Girls should be encouraged to set boundaries, verbalize their needs with confidence, and say “no” without guilt. To do this, it’s imperative that parents help girls understand the differences between passive, aggressive, and assertive communication. Passive: Difficulty making eye contact, slumped shoulders, struggles to project voice, agrees often, apologizes frequently, says “I don’t know” instead of sharing thoughts. Aggressive: Uses body posturing and voice tone to gain power, interrupts frequently, uses sarcasm and put downs, appears insensitive, argues often. Assertive: Makes eye contact, uses a calm and confident voice tone, uses active listening skills, verbalizes needs without feelings of guilt, listens to the needs of others, stands tall, shares thoughts and ideas in a confident voice. Once you’ve discussed the different communication styles, ask your daughter to help you come up with a few scenarios she might encounter at school, during team sports, or out in the community. Take turns trying the different communication styles for each scenario and pick apart what works and what doesn’t. Critique and compliment each other as you work through the process until your daughter feels comfortable in an assertive role. A great way to practice speaking assertively with confidence and listening to and understanding differences of opinion (another aspect of sociability and leadership) is to host a monthly family debate night. Choose the topic early in the week (e.g. gummy bears versus peanut butter cups) to give everyone time to come up with an opening argument, three supporting statements, and a closing argument. On debate night, get the timer ready and start the debate! This makes practicing verbalizing opinions and thoughts fun and engaging. And it gives everyone in your family the sense of what it means to be assertive. I can’t tell you how many times I catch myself ordering a meal on my daughter’s behalf before realizing that she’s perfectly capable of placing her own order. Sometimes parents unintentionally discourage assertiveness by doing for their daughters what their daughters can do on their own. Get out into the community and encourage your daughter to use her voice in a variety of different situations: Asking for help in a bookstore, placing an order in a restaurant, and making purchases independently contribute to the development of assertiveness. When young girls get the message that they can capably speak for themselves, they learn to use assertive voices and speak with confidence. Katie Hurley’s book, No More Mean Girls, is an essential read for parents of elementary and middle school daughters. This guide will help young girls learn how to stand up for themselves and others, navigate friendship-building, and express their individuality in healthy ways. Families will learn how to support and empower their girls through Hurley’s wise and practical suggestions. I highly recommend this book! Katie Hurley, LCSW, is a child and adolescent psychotherapist, parenting expert, and writer. Author of No More Mean Girls and The Happy Kid Handbook, Katie practices psychotherapy in Los Angeles and is a freelance writer for online publications, including The Washington Post, PBS Parents, and US News & World Report. Katie also authors a popular blog, Practical Parenting.